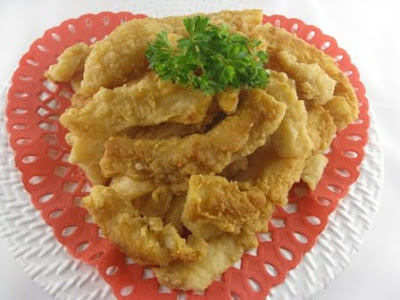 Fried Squid or Fried Calamari is popular in the cuisine of many Eastern or Western countries. Usually it's often served as an appetizer or snack in any Italian or Western restaurant. But in Chinese cuisine it's usually served as a main dish. Don't we all loves Fried Calamari ? 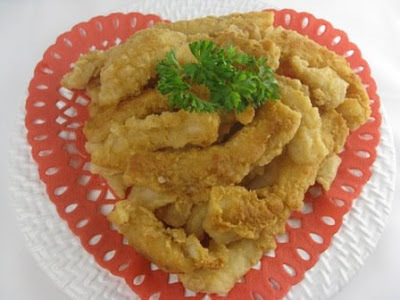 I don't really care what style,cuisine or how Calamari is fried,as long as it's Fried Calamari,I love it !! How about you? 1: Heat oil in frying pan or pot at medium heat. Coat seasoned cut calamari/squid with flour mixture well.Or shake cut calamari well with flour mixture in Ziploc bag. 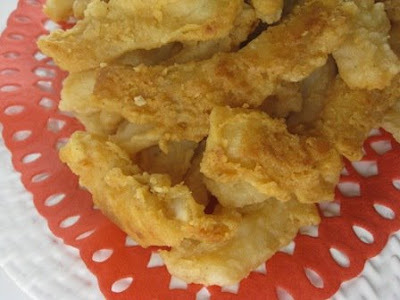 2:Fry coated calamari in medium heat oil for 1-2 minutes or until light golden brown.Drain on paper towel before serve warm or hot. 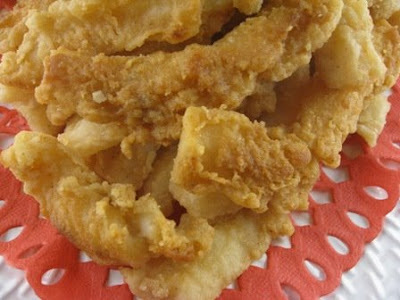 Do not over fried calamari ,it's tend to be rubbery or chewy. I love calamari rings .. and onion rings! I love this dish! I always order this whenever I go to a Chinese restaurant. Love the addition of cayenne pepper. Spicy! This is not fair!! I want some.. hehe. This is my fav dish!! Always order when I go dim sum.. can even have 2 plates..
Yummy, one of my favorites! I didn't use small squid instead of big white cuttlefish,so no rings:) don't we all love calamari? oh yea,I love the chinese restaurant one too!! My boys will finish up the whole plate if its crunchy. Fried calamari is really good! IS this the fried calamari served in dim sum restaurants???? The fundamental targets of this administration are to dispense with terrible check obligation, lines at the clerk, and administration migraines.